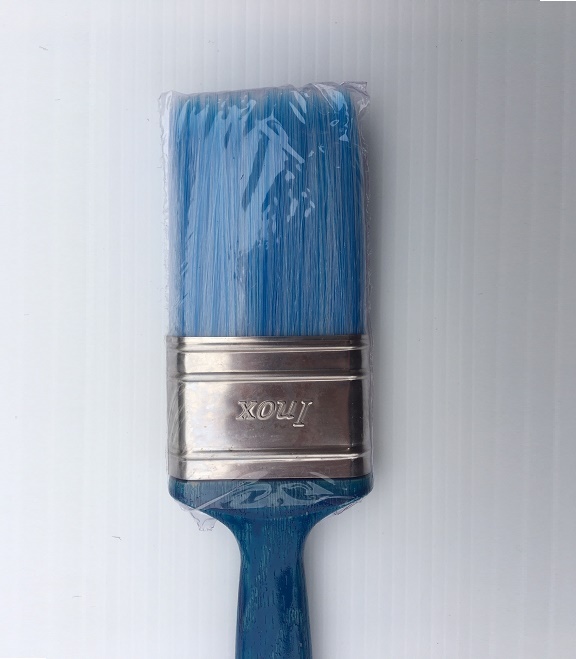 Blue Synthetic Brush These synthetic brushes will give a more clean and more smooth sleek finish. 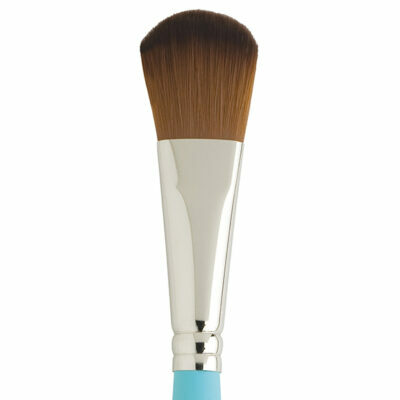 Synthetic brushes are easier to clean and care for. Available in a variety of sizes. Short wood handle with metal ferrule. Great for a variety of different applications and techniques. Workmanship is critical. For the highest quality, you should always insist on handmade brushes. 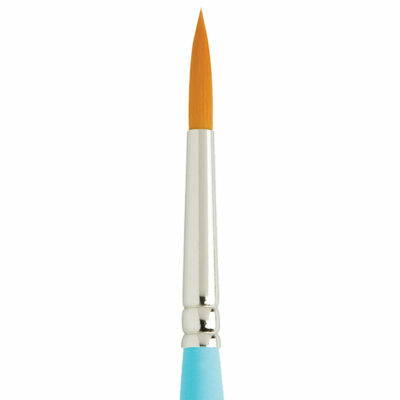 These brushes feature carefully selected and graded materials. All are skillfully assembled by conscientious crafts people. Each brush must meet stringent specifications. • Clean your brushes as soon as you are finished painting. Paint of any type, even water-based paint, should never be allowed to dry in a brush. • Do not use oil brushes for any other medium. Once used with oils, these brushes should be kept exclusively for use with your oils. • Brushes should dry flat or be hung in a head down position to protect the shape. Allow your brushes to dry thoroughly before storing them in closed containers. 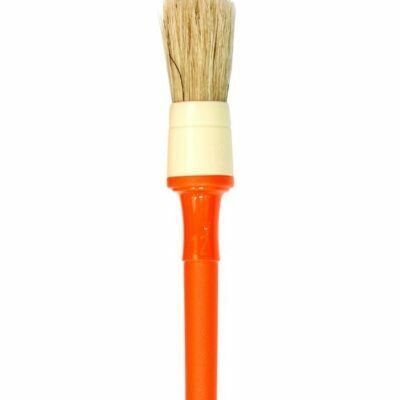 • Keep your brush handles and ferrules dry. Even the finest brush handles will loosen and crack when left soaking. Fill your water or solvent container so that it nearly covers the brush head. • Natural hair brushes get burnt out just like human hair especially when solvents are used. Lard oil has been a traditional conditioner for oil brushes as long as anyone remembers. It’s inexpensive and found in any good hardware store.